Paul Hastings saw its strong revenue growth in London tempered slightly to 14% in 2018 in what remained a strong year for the US outfit. 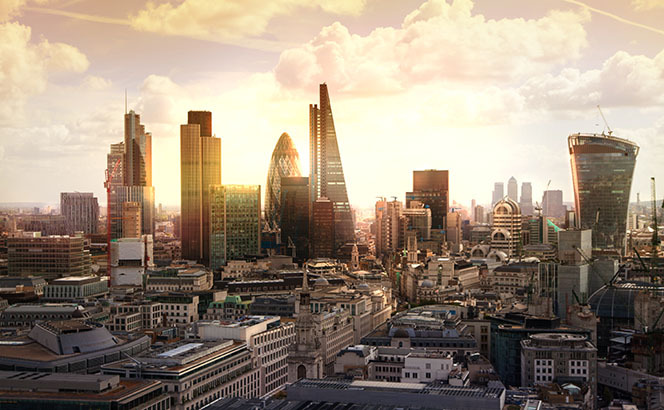 The double-digit revenue increase in London is lower than last year’s 25% rise, however it outstrips the firm’s global growth figure of 9%, itself up from 4% last year. Profit per equity partner (PEP) meanwhile broke the $3m mark, rising 12% to $3.25m. The figures mean Paul Hastings has seen a 25% increase in PEP over the last two years while both London headcount and revenue has doubled over the last five. Global equity partner numbers meanwhile remained fairly static over the last year, falling by three from 190 to 187. The results also come as the firm made aggressive hires in the City last year, with former DLA Piper private equity partner Anu Balasubramanian and ex-Linklaters M&A partner Roger Barron proving the most defining hires for Paul Hastings in 2018. Meanwhile, nine successive years of revenue growth means Milbank has passed the $1bn mark in gross revenue for the first time, reaching $1.034bn after a 13% increase during 2018. This adds to the previously reported 25% hike in Milbank’s City turnover to $156m, matching the 25% growth the firm saw in continental Europe. The figures are a considerable increase on last year’s 9% growth in the City, when revenues reached $125m. 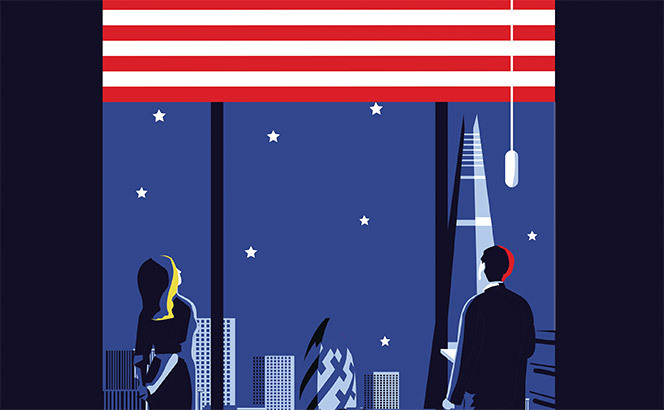 The story of US firms in London this year has widely been one of further success, with White & Case, King & Spalding, Reed Smith and Akin Gump all producing strong City performances. White & Case’s expansive London office was responsible for 17% of firm-wide revenue as Milbank Tweed Hadley & McCloy has a hiring spree to thank for its pace-setting 25% uptick in City turnover. White & Case’s City revenue was up 7% to $350m, as firm-wide revenue increased 13.7% to break the $2bn mark at $2.05bn. Profit per equity partner grew 6% to $2.40m and revenue per lawyer increased by 7.8% to reach $954,000 from last year’s $885,000. The 2018 results continue a blistering run for the firm, building on last year’s 13% uptick in City revenue while firm-wide revenue saw a pacey 10% increase to $1.8bn in 2017. Profit per equity partner rose more than 6% to $2.4m and equity partner headcount globally rose by more than 7% to 342 from last year’s 319. Strong performing practice areas included banking, disputes and private equity, according to Oliver Brettle, member of the global executive committee and London executive partner Melissa Butler. White & Case in 2018 proved itself to be something of a hiring whirlwind in the City having gone great guns with its NY-London focus and ambitions to go ‘toe-to-toe’ with the Magic Circle in London as part of a 2020 plan led by Brettle. 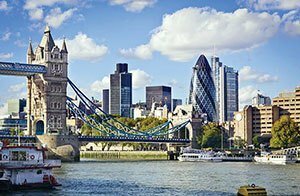 Sixteen London laterals included high-profile infrastructure partner Simon Caridia from Herbert Smith Freehills in October and the same month, Weil counsel Thomas Falkus as a partner for its thriving capital markets practice. The firm also added David Robertson, formerly of Bryan Cave Leighton Paisner, to its arbitration practice, Royal Bank of Scotland’s former head of litigation and investigations Laura Durrant as a partner, and Cadwalader, Wickersham & Taft litigation partner Steven Baker for the firm’s commercial litigation practice. White & Case also hired from Weil Gotshal & Manges with mixed results. 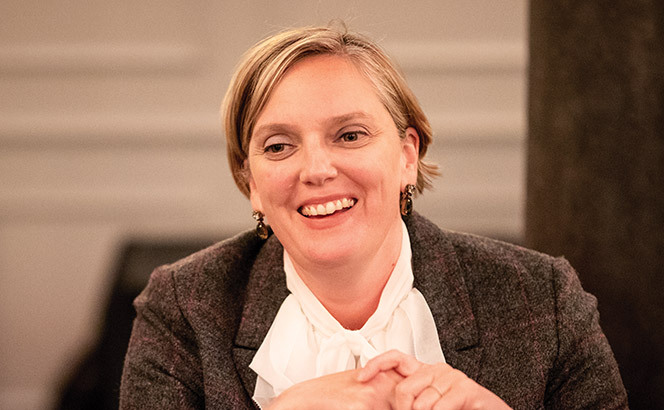 The start of 2018 saw Weil’s co-head of dispute resolution, Hannah Field-Lowes, join White & Case in London while the hire of Weil’s head of banking Mark Donald later in the year proved to be Ill-fated. Donald was prevented from joining because of a historic issue concerning a Weil associate on secondment at JP Morgan sharing confidential documents. Last October, White & Case announced a bumper promotion round of 41, of which 13 were in the City, up from seven new London partners the previous year. Butler points to 38% of the new partner promotions in London being female and 46% at the firm globally. Milbank, meanwhile, has celebrated its 40th anniversary in London by posting a substantive 25% revenue hike for its City branch to $156m from $125m. The financials build on last year’s success when the firm posted its highest ever London revenue, a 9% increase on its 2016 performance. The firm cited London as a key driver of the firm’s global financial performance and points to its financial restructuring group more than doubling in size and its capital markets group almost tripling in terms of headcount. Milbank kicked off 2018 with a number of lateral hires, including a four-partner restructuring team from Cadwalader Wickersham & Taft comprising Cadwaladers’ global financial restructuring co-chair Yushan Ng, Jacqueline Ingram, Karen McMaster and Sinjini Saha. Clients of the team included brand name sponsors Oaktree, KKR, Centerbridge Capital Partners and Blackstone. Within days of those laterals, Milbank also hired high-yield guru Apostolos Gkoutzinis and his capital markets colleague Rebecca Marques from Shearman & Sterling. For more on White & Case’s unlikely revolution read: ‘Reborn supremacy‘. Despite much talk of client pressure on fees the determination to recruit top associates continues to build with one leading New York firm this week jolting the industry by announcing a record pay scale for its US and City associates. Milbank, Tweed, Hadley & McCloy on Monday (4 June) announced that its associates will earn between $190,000 and $330,000 from 1 July. In a move that will lead to intense pressure among Wall Street peers to raise the established starting salary for new lawyers from $180,000 to match Milbank, the firm’s associate pay bands will rise between $10,000 and $15,000 depending on seniority. Touted as ensuring the New York shop offers ‘compensation at the top of the market’, the changes will involve all of the firm’s 500 associates, including 100 in London. Associates in their first to third year will see their salary increase by $10,000, while those from the fourth to eighth will take home $15,000 more. Revenue at Milbank grew 7% to hit $916.54m last year, while profit per equity partner rose 11% to $3.46m, underlining its position among the top 15 Manhattan firms. Milbank’s salary hike follows the firm’s changes in 2016, prompted by Manhattan leader Cravath, Swaine & Moore’s announcement that it was boosting first year associates’ pay by $20,000, to $180,000. Though there has been some expectations that 2018 would go without further rises at top global firms, Milbank’s move promises to further heat up City salaries, with many leading US firms benchmarking their London teams to domestic pay scales. 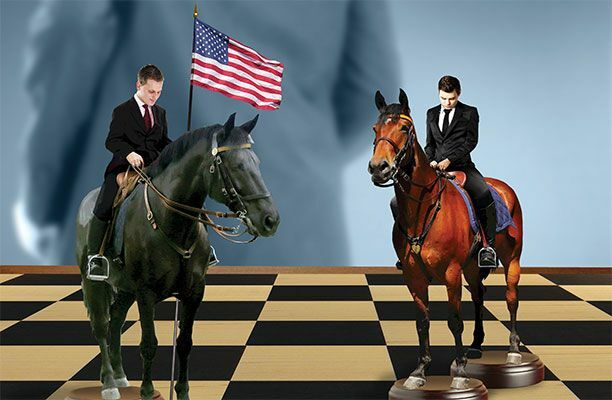 Such a move would further widen the gap between leading US firms and City counterparts. For comparison, Allen & Overy and Clifford Chance both increased their bands for junior lawyers 3% with newly-qualified (NQ) solicitors earning £81,000 at A&O and £87,300 at CC. Such dynamics are a reminder that while much of the commercial legal industry is wrestling with far more cost-conscious clients, the highest reaches of the profession operate in an increasingly detached orbit. Representative work: Defended Visa on a claim brought by Sainsbury’s on interchange fees and acted for the defendants in $1bn competition Libor case; advised on the $3.7bn restructuring of offshore drilling services contractor Ocean Rig; advised the lenders on Bridgepoint Capital’s acquisition of vehicle rental firm Zenith Group. It has been an expansive start of the year in terms of partner hires for a group of finance-focused US shops with tight London operations. First Cadwalader, Wickersham & Taft’s City restructuring practice was decimated by the departure of four partners to Milbank, Tweed, Hadley & McCloy, led by global financial restructuring co-chair Yushan Ng, with Jacqueline Ingram, Karen McMaster and Sinjini Saha following him. McMaster and Ingram had already followed Ng in changing firms in 2013 from Linklaters, where they were associates. Saha was made partner when she joined Cadwalader from Simpson Thacher & Bartlett in 2015. Contrasting fortunes summarises the position of two key US players in the London market these days, with an expansive Milbank, Tweed, Hadley & McCloy posting its highest-ever London revenues while Jones Day has seen three City partners leave since the start of the year. Revenue at Milbank’s London office grew 9% to $125m in 2017 in a stronger performance compared to last year’s 4% rise to $114.1m. The firm is yet to disclose its worldwide revenue and profits for 2017 but said it had the best–ever year both globally and in Europe. 2017 highlights include acting on a number of high-profile cases, including defending Visa alongside Linklaters in a claim brought by Sainsbury’s and acting for the defendants in a $1bn claim brought against a set of financial institutions accused of manipulating the Libor rate. On the transactional side, the firm worked on the $3.7bn restructuring of offshore drilling services contractor Ocean Rig and advised the lenders on the £425m acquisition of vehicle rental firm Zenith Group by Bridgepoint Capital. After a quiet 2017 in the lateral hire market, Milbank has started 2018 announcing a string of hires from a number of US rivals in the City, including high-yield specialist Apostolos Gkoutzinis from Shearman & Sterling and a four-partner restructuring team led by Yushan Ng from Cadwalader Wickersham & Taft. The firm now counts 28 partners and around 150 lawyers in the City. Elsewhere, Jones Day lost its second and third City partners in as many weeks as corporate partner Dan Coppel left for Morrison & Foerster and financial services regulatory partner John Ahern moved to Katten Muchin Rosenman. Coppel joined Jones Day from ailing Dewey & LeBoeuf in 2012 and focuses on cross-border M&A and private equity. Ahern had been hired seven years ago from Addleshaw Goddard and works on the regulation of banking and financial services in the UK and Europe. These losses follow the departure of Jones Day’s acquisition and leveraged finance partner Paul Simcock, who joined Vinson & Elkins’s City arm in January. 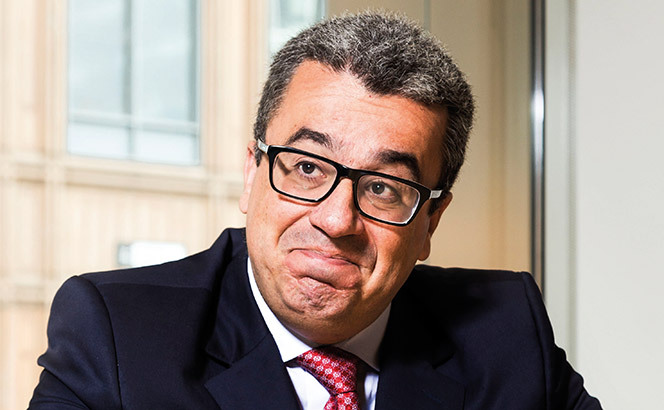 High-yield specialist Apostolos Gkoutzinis is to join Milbank Tweed Hadley & McCloy from US rival Shearman & Sterling, a move which marks the firm’s fifth hire in the space of a week. 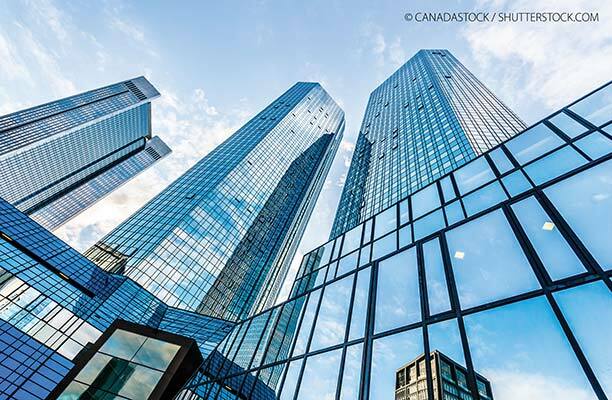 The recruitment of Gkoutzinis, Shearman’s head of European capital markets, is another sign of Milbank’s ambitions to make its mark in City finance, coming just days after it secured a four-partner restructuring team from Cadwalader Wickersham & Taft. That move – which included Cadwaladers’ global financial restructuring co-chair Yushan Ng, and partners Jacqueline Ingram, Karen McMaster and Sinjini Saha – was a significant boost to Milbank’s City finance team, which counts among its clients Oaktree, KKR, Centerbridge Capital Partners and Blackstone. 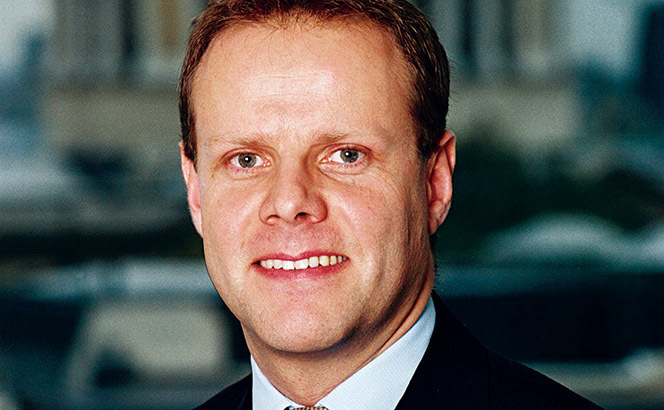 Gkoutzinis (pictured) was made up to partner in Shearman’s European capital markets group in 2011 having joined the firm in 2005 as an associate. He specialises in US federal securities law, high-yield debt offerings and general debt and equity capital markets transactions across leveraged finance, SEC-registered offerings, restructurings, recapitalisations and privatisations. Since 2005, Gkoutzinis has acted on the majority of IPO and high-yield bond transactions in the Greek market brought about the country’s sovereign debt crisis. In another key City move by a US firm, Vinson & Elkins (V&E) has added Jones Day acquisition and leveraged finance partner Paul Simcock to its London finance bench. The move follows V&E’s hire last year of Clifford Chance finance partner John Dawson. Simcock joined Jones Day in 2014 having previously been a partner at Berwin Leighton Paisner. 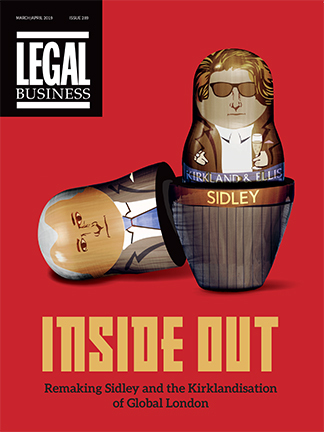 He was previously counsel at Skadden, Arps, Slate, Meagher & Flom for seven years after training at Allen & Overy. He has acted for private equity sponsors, alternative credit providers, banks and corporations across a range of debt restructurings, distressed transactions, refinancings and other syndicated and bilateral lending projects. Recent mandates have included advising L1 Retail, the retail investment arm of LetterOne, on the £900m senior financing underpinning the acquisition of heath retailer Holland & Barrett from The Nature’s Bounty Co. and The Carlyle Group. He has also advised Macquarie European Infrastructure Fund II (MEIF II) on deals including the refinancing and sale of National Car Parks group (NCP) and the refinancing of Condor Ferries Group, an operator of passenger and freight ferry services. ‘Our corporate team has been growing rapidly, and with the addition of another top-tier hire, we’re positioned to push even further into one of the leading finance capitals of the world,’ said London-based Jeff Eldredge, co-head of V&E’s corporate department. ‘Paul is an extremely accomplished lawyer whose strong relationships and energetic approach to client service are exactly what we look for at V&E’, Eldredge added. It has long been a prestigious New York shop without ever quite gaining critical mass in London, but Milbank Tweed Hadley & McCloy looks to be widening its ambitions after securing a four-partner restructuring team from Cadwalader Wickersham & Taft. The move greatly expands Milbank’s City finance team, and includes Cadwaladers’ global financial restructuring co-chair Yushan Ng. He will be joined by partners Jacqueline Ingram, Karen McMaster and Sinjini Saha. Clients of the team include brand name sponsors Oaktree, KKR, Centerbridge Capital Partners and Blackstone. Ng qualified at Linklaters and made partner at the Magic Circle firm in 2008. He joined Cadwalader in 2012. McMaster and Ingram joined Cadwalader in 2013 also from Linklaters, where they were associates. Saha was an associate at Simpson Thacher & Bartlett before joining Cadwalader as partner in 2015. The hire comes eight years after Milbank recruited former Ashurst head of restructuring Nicholas Angel and brings the US firm’s London partner ranks to 26 – including six in restructuring. The 660-lawyer Milbank generated income of $855.6m in 2016, up 11% annually. During that financial year, London revenues edged up $4m to $114.1m. 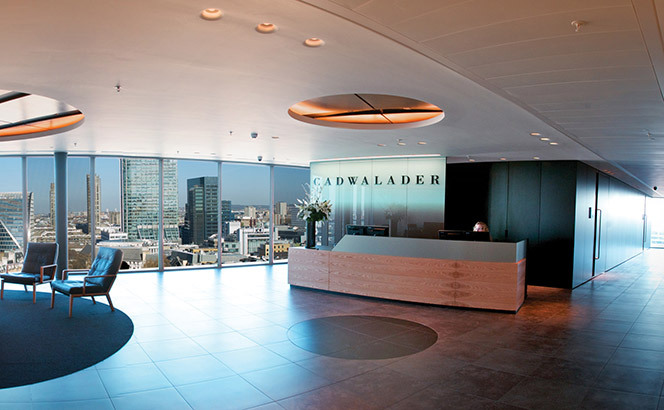 The team’s departure leaves Cadwalader with four financial restructuring partners in London and comes after the firm posted revenues of $50m in 2017, a 10% increase on last year. The New York-based firm has been struggling to regain its 2000s momentum since the banking crisis, when it was heavily impacted by the collapse of key clients Bear Stearns and Lehman Brothers. Herbert Smith Freehills, Shearman & Sterling, Milbank, Tweed, Hadley & McCloy and Reed Smith have also taken places on Deutsche Bank’s controversial new legal panel. The firms take their places alongside more than a dozen others – including the entire Magic Circle, on the panel which has made headlines after the bank attempted to remove fees for junior lawyers. Others on the panel include Ashurst, Simmons & Simmons, Taylor Wessing and Hogan Lovells. US firms on the new panel include Latham & Watkins, Cleary Gottlieb Steen & Hamilton, Mayer Brown and White & Case. The review process, which is understood to be mostly complete, stemmed from a request for proposal sent out to help Deutsche analyse its current policies and processes for external legal counsel. The process, dubbed ‘Project Eagle’, was led by global chief operating officer of legal and compliance Rose Battaglia, with appointments expected to last two years. As part of the panel review, at tender stage, the bank attempted to implement a system under which trainee and newly-qualified lawyers would not be able to charge for work they carried out. The system, which is more common in the US, has drawn some strong reactions from the profession. However, it is understood some firms on the panel were able to negotiate themselves out of the system. One City partner from a panel firm said: ‘We were very concerned with it. Some firms pushed hard, some successfully, not to comply with that request. Those are the firms which offer the bank value for money. However, one head of finance at a Deutsche panel firm said the trend for institutions to delete junior lawyer fees is ‘just for show’. He added: ‘For the purposes of presenting fee estimates, it’s a matter of the relationship between the institution and the relevant law firm as to how those numbers are presented. A Deutsche Bank spokesperson declined to comment. Milbank, Tweed, Hadley & McCloy has become the latest firm to announce its London revenues, which rose by nearly $4m to $114.1m in 2016, 4% up on the $110.2m achieved in 2015. Growth in the City has been slower this year for the US firm, which posted a 6% rise last year. Turnover at the US firm grew by 11% last year to $855m, up $84m on the $771m the firm generated last year. Profits per equity partner (PEP) also increased by 13% to $3.1m. This brings strong growth after a lacklustre 2015, when the firm showed flat results in some of its key markets and only grew by 1% both in PEP and revenue figures. Globally, the lawyer headcount and the equity partner numbers at the firm both increased by 2% last year. Overall headcount rose to 664 from 649 the year before, while the equity partner numbers increased to 149 in 2016. The global rise also follows a series of high-profile hires last year, among them several from Allen & Overy including private equity (PE) partner Michael Bernhardt who joined the firm’s corporate department in Frankfurt and a three-partner team in New York, including the firm’s US senior partner Kevin O’Shea. Meanwhile, last June PwC Legal hired former Milbank partner Laetitia Costa to run its banking and finance team in London. Notable wins for Milbank in London in 2016 include getting a seat on Swiss private equity house Partners Group’s legal panel, and advising Nabors Industries on its joint venture with the Saudi Aramco. Milbank’s City results come as White & Case’s London office saw a 4% increase in revenue sitting at around $290m while Cooley reached $47m only two years after opening in the City. King & Spalding also saw revenue increase by nearly 4% to $1.06bn as its PEP dipped 2% to nearly $2.5m.